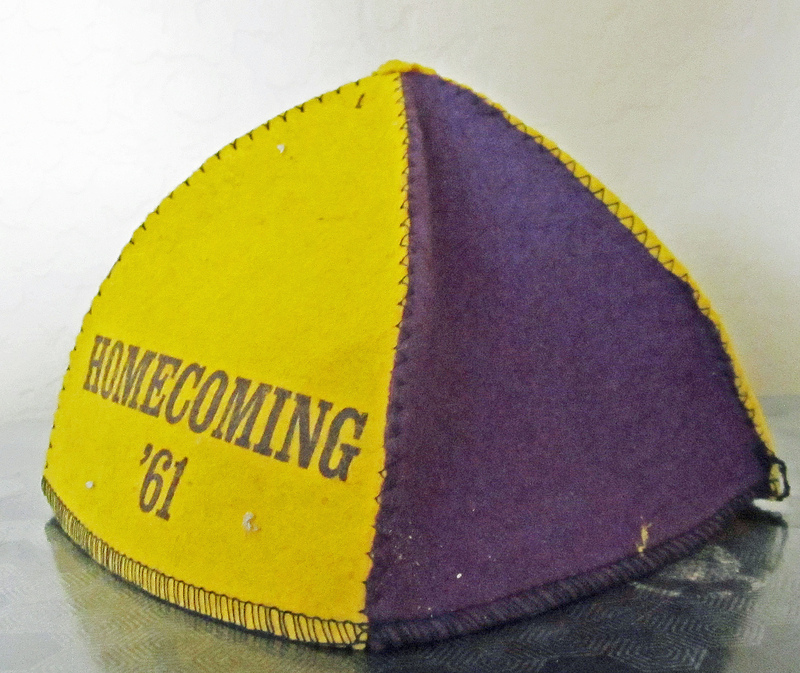 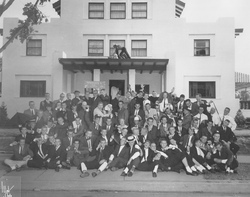 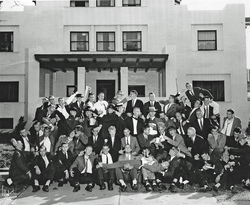 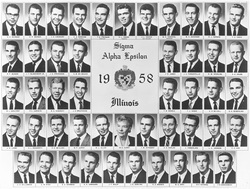 The Illinois Beta Chapter of Sigma Alpha Epsilon reopened in 2011. 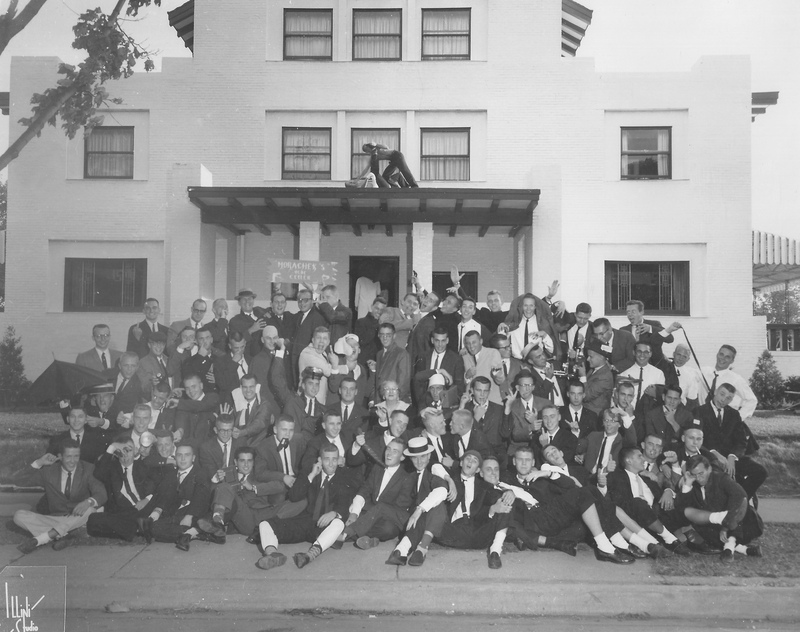 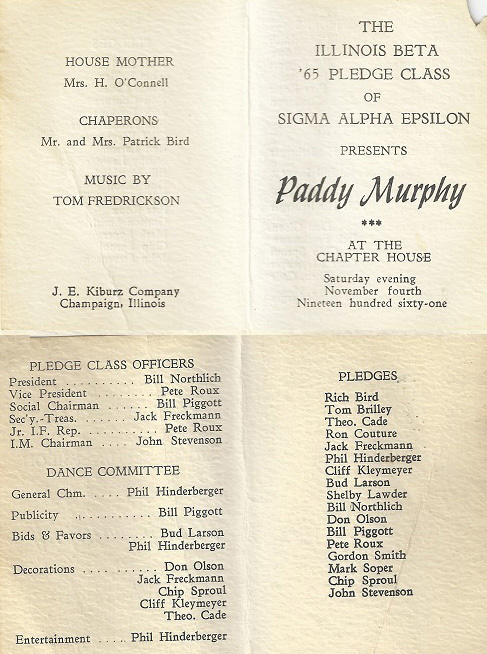 A lot of memorabilia was lost during the period that the chapter was closed. 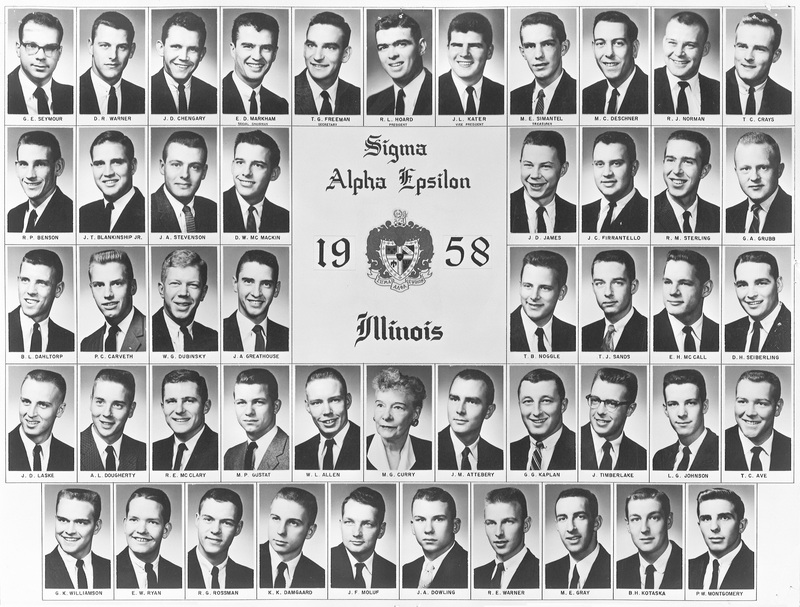 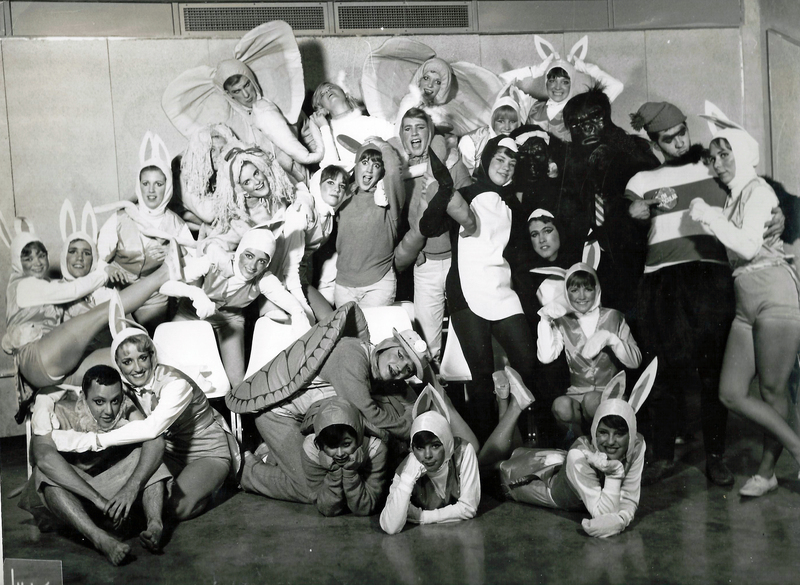 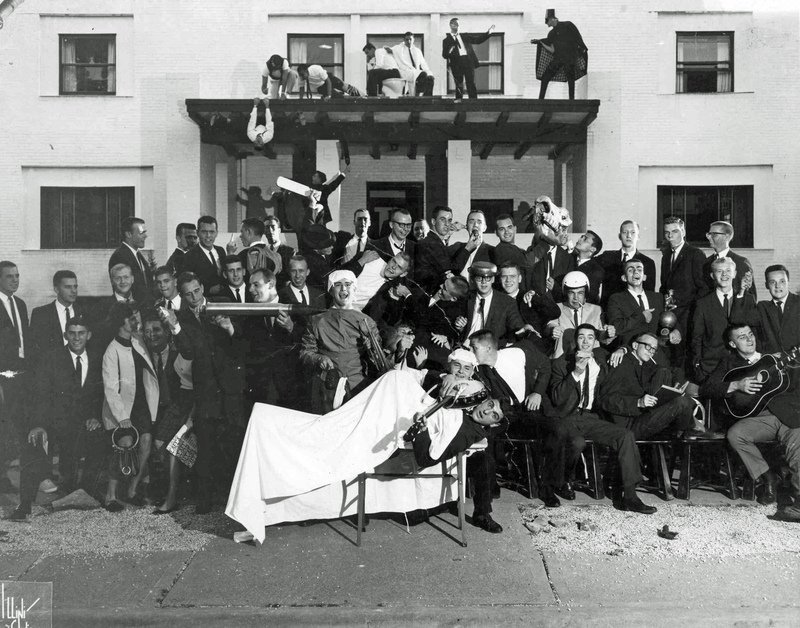 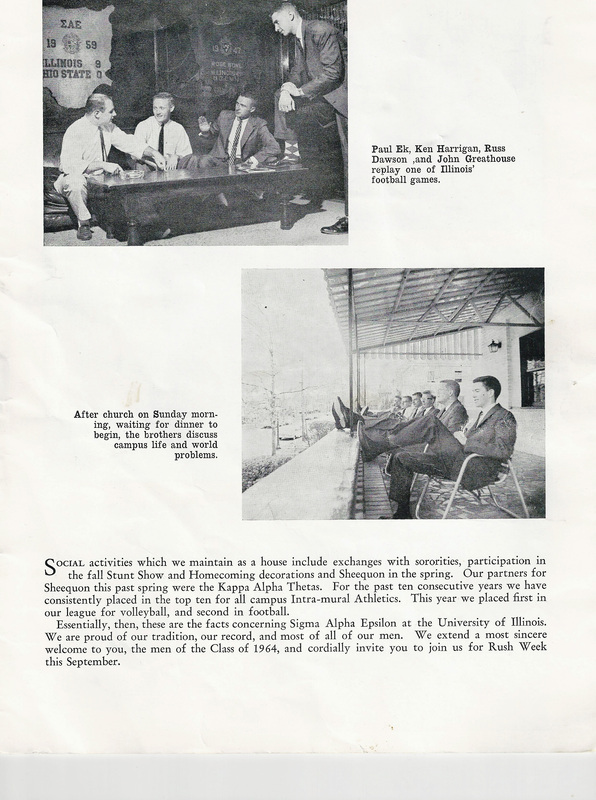 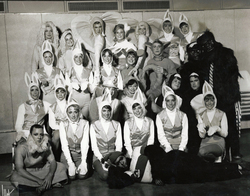 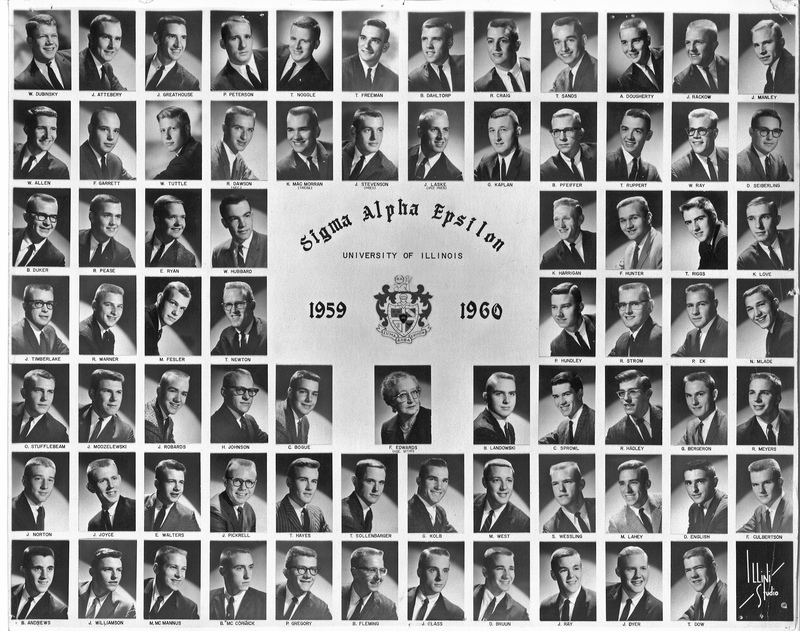 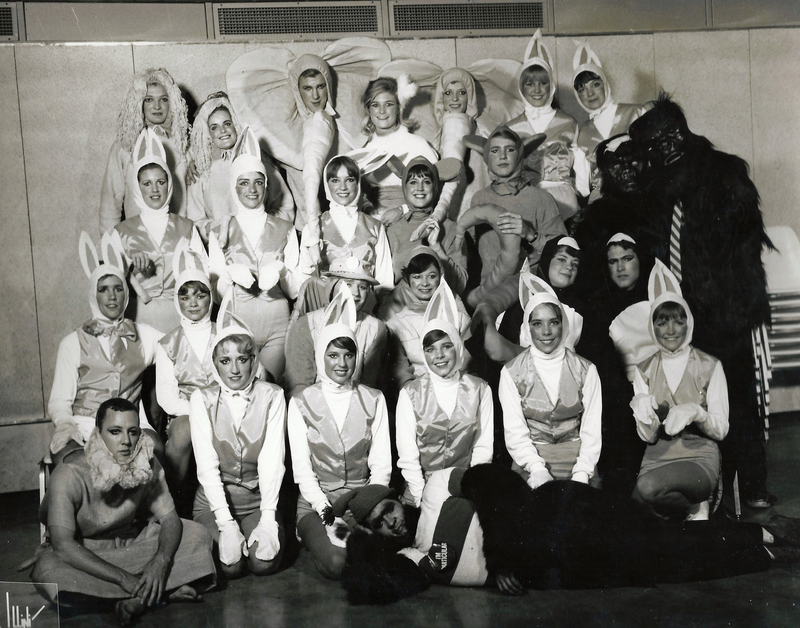 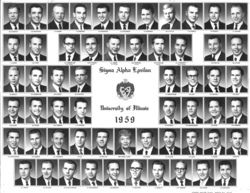 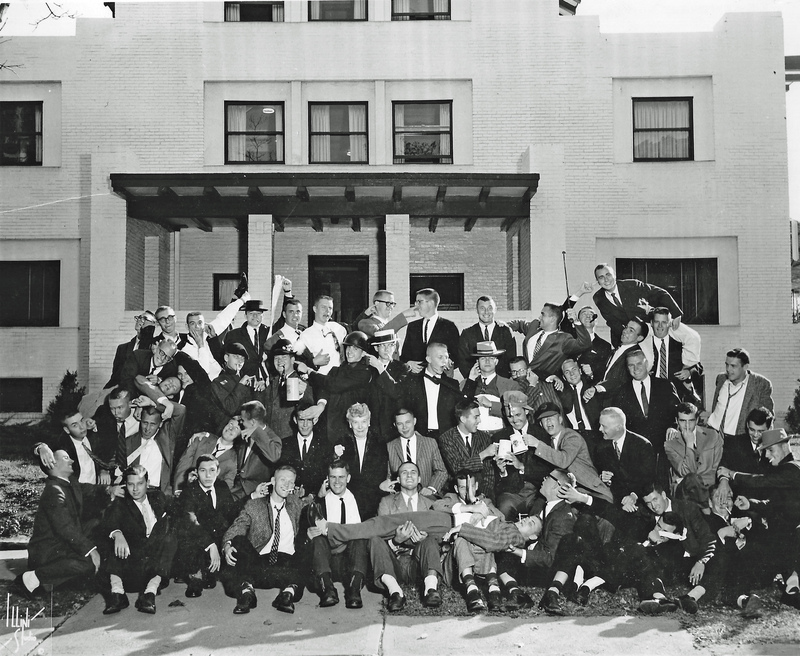 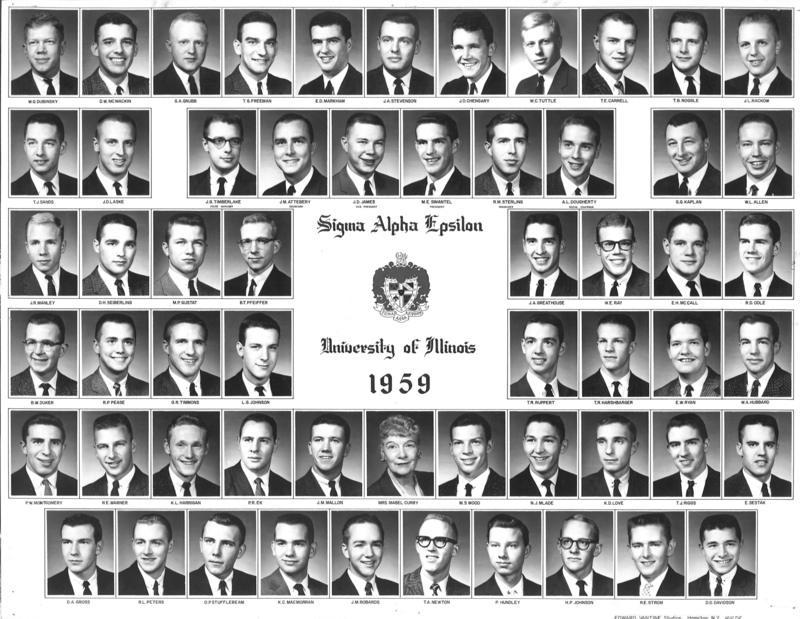 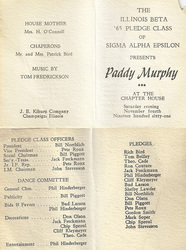 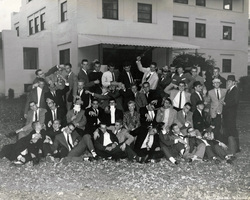 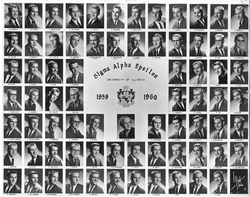 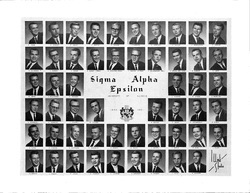 I have asked Sigma Alpha Epsilon members of Illinois Beta to send me photos, such as composites, event pictures such as Sheequan pictures, stunt/dance photos, etc. 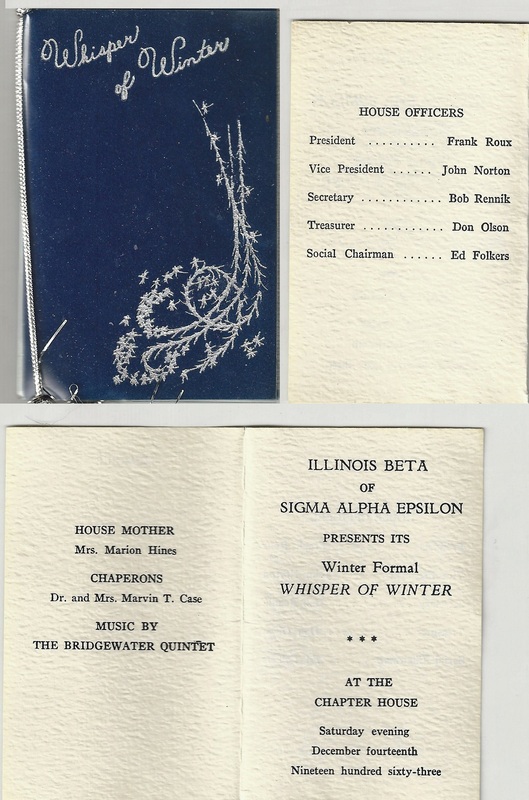 to permanently recapture shared memories. If you have any items to contribute, send them to me at tomgilbet94949@yahoo.com. 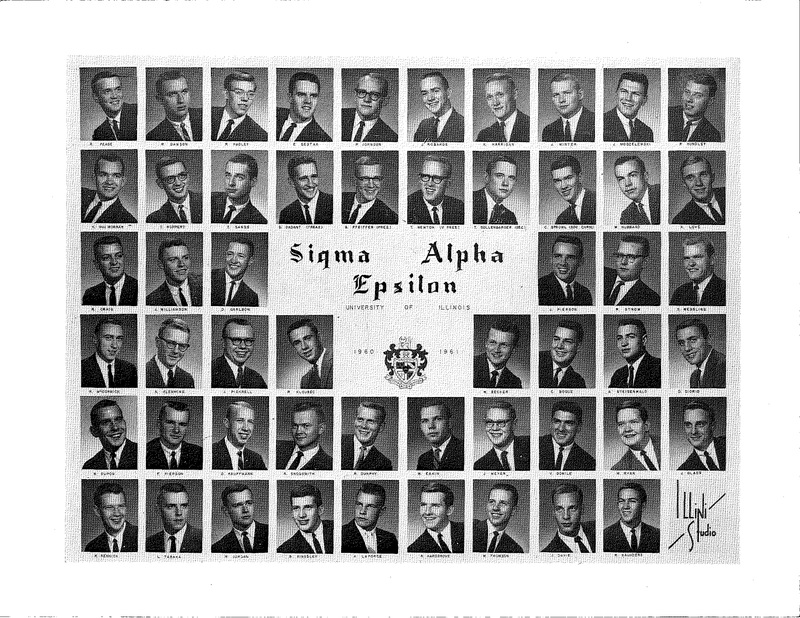 TAKE THE TIME TO DIG AROUND YOUR ATTIC FOR ITEMS THAT I CAN POST!! 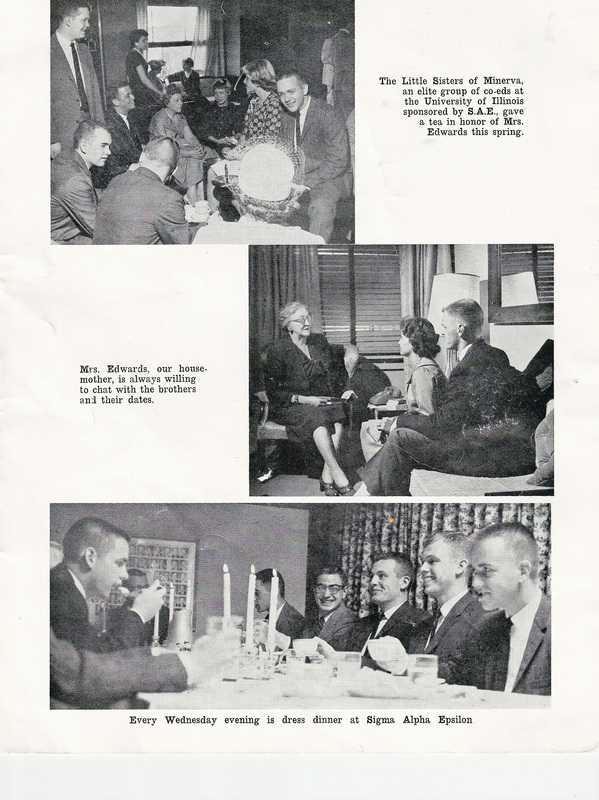 Once I get enough material, I will create a website dedicated to the stuff you folks send to me. 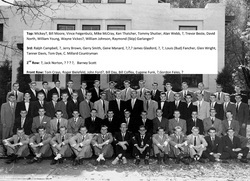 EMAIL ME WITH ANY CORRECTIONS. 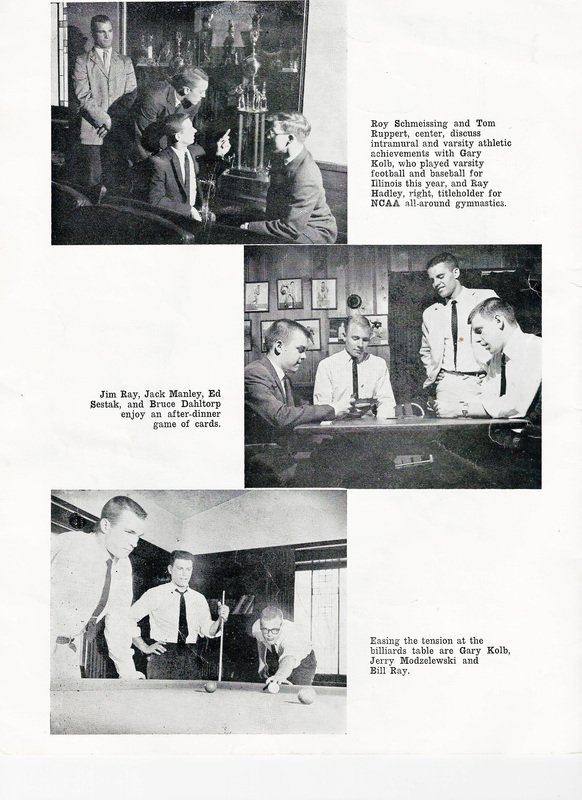 Chuck became an adverting guy. 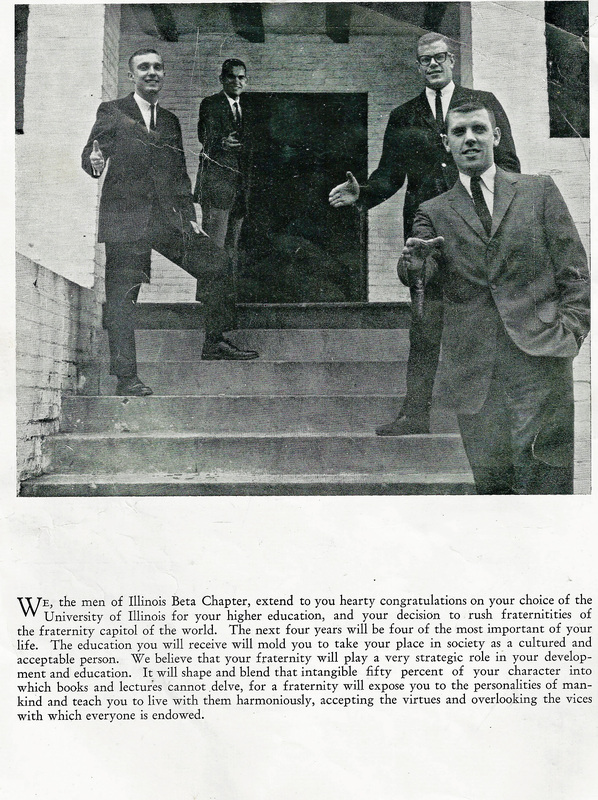 He must have learned how to puff up copy at Illinois. 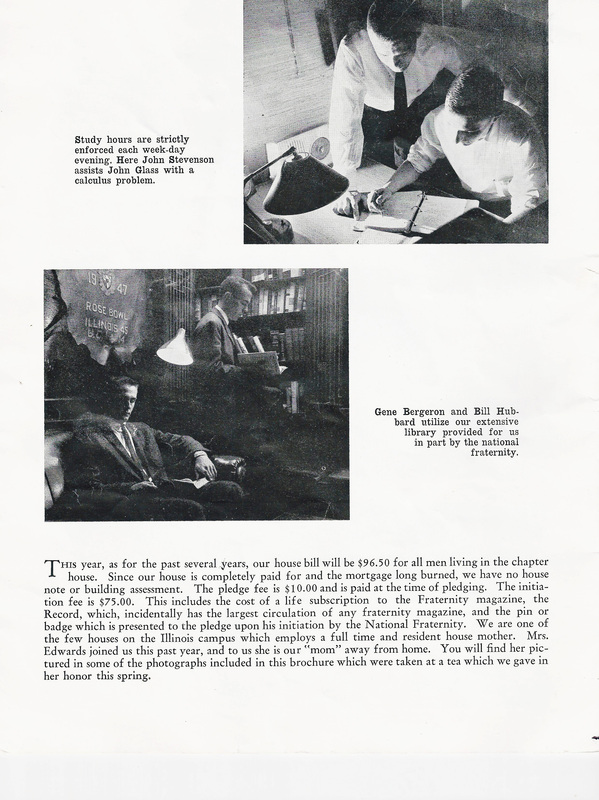 Study before lunch? 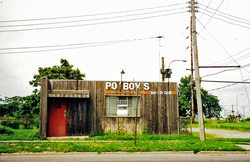 LOST TRADITION :o( When the gals had "hours", Po Boy's was a traditional after hours stop the brothers for fabulous BBQ. 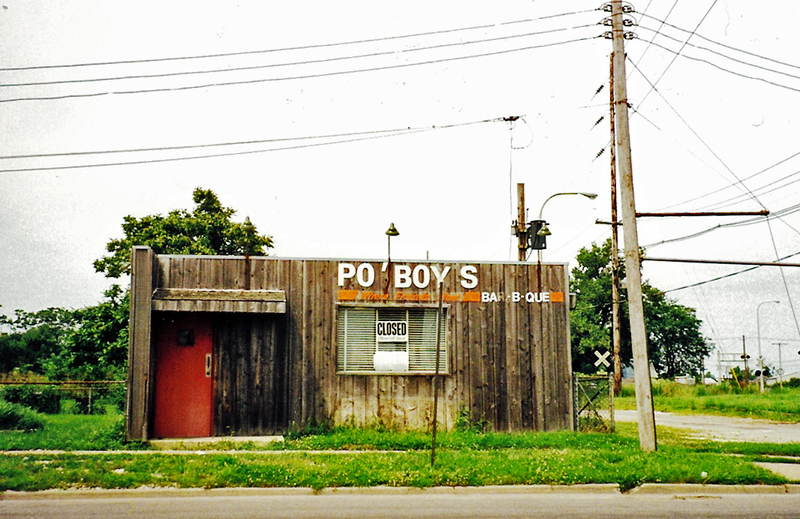 Owner died in the early 90s. 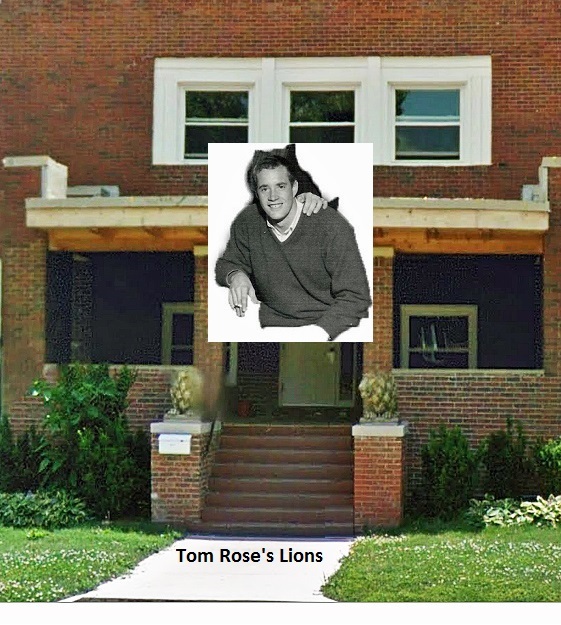 WHERE DID THOSE LIONS COME FROM? 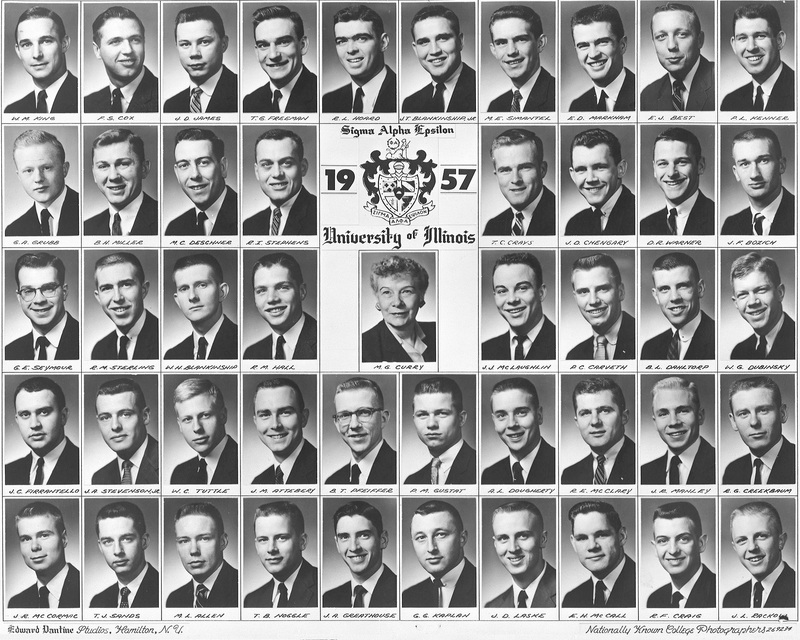 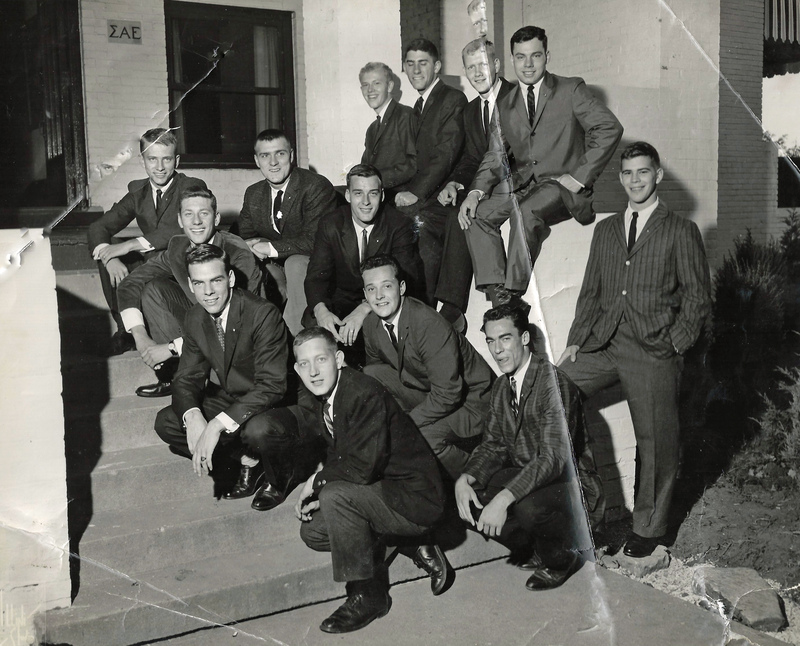 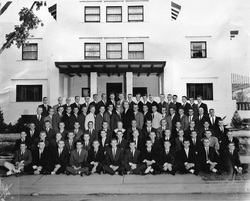 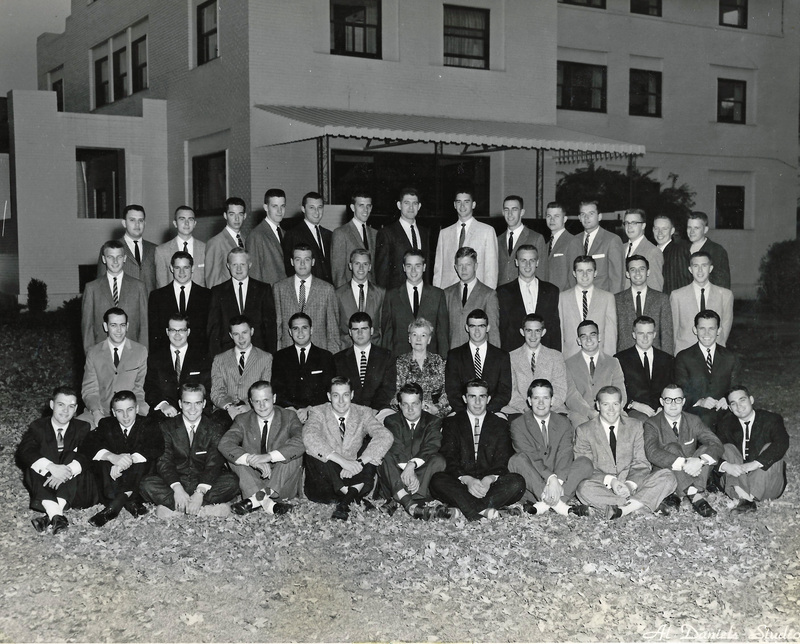 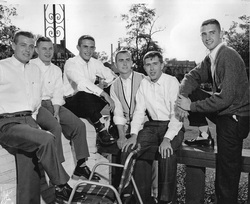 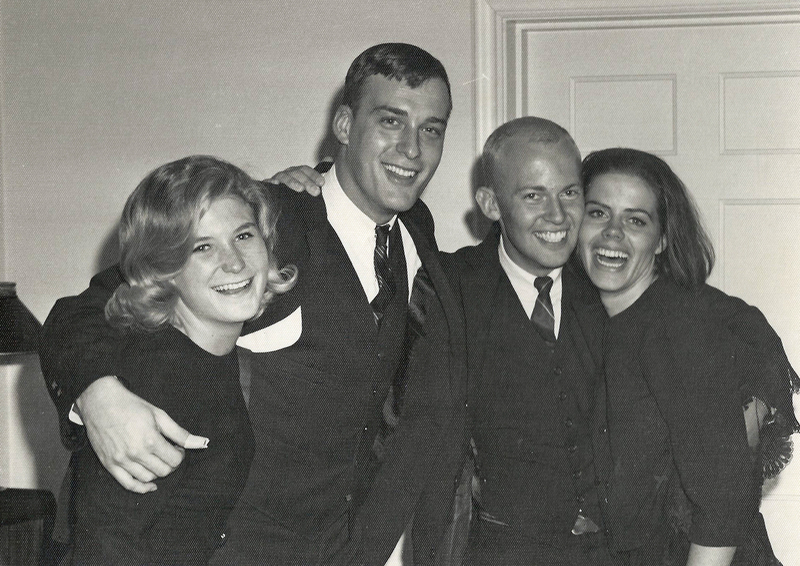 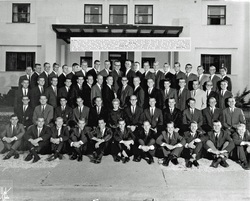 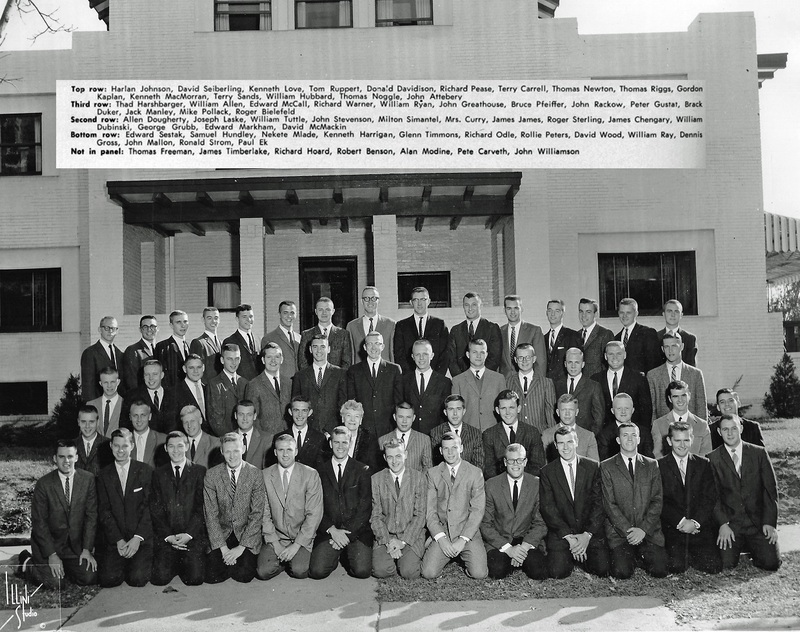 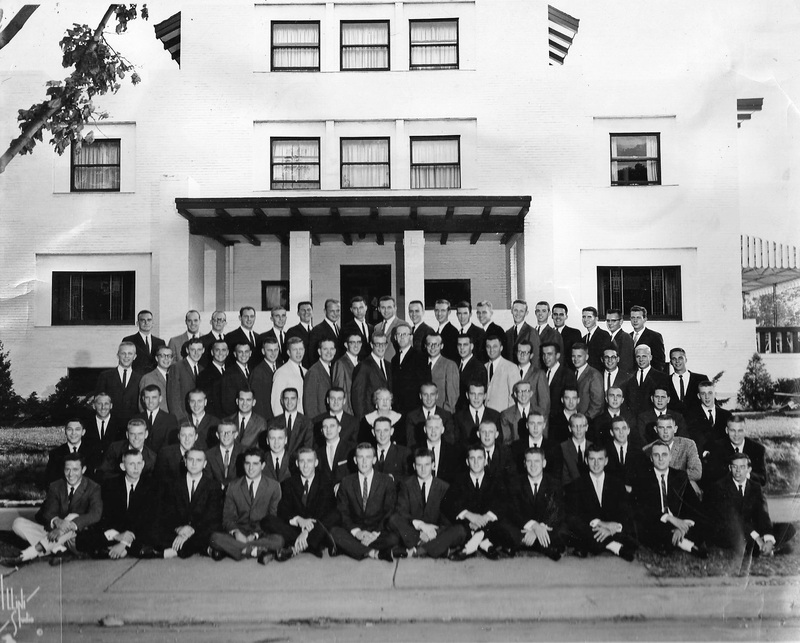 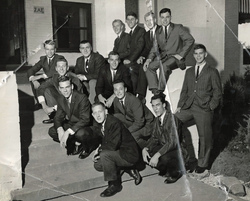 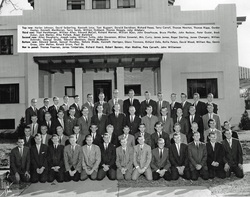 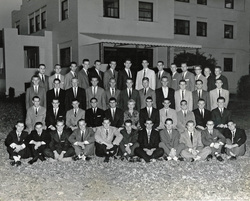 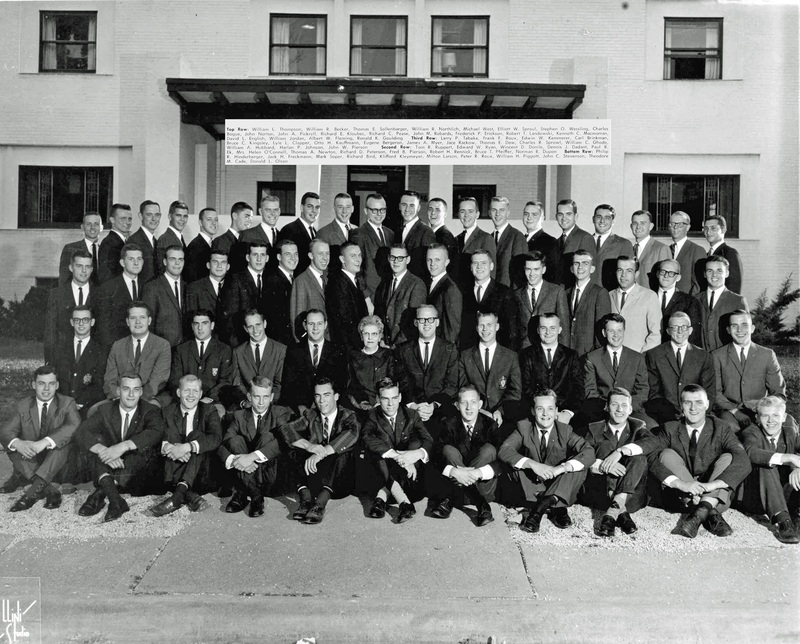 Tom Rose transferred from Wisconsin Alpha in 1961 to Illinois Beta. 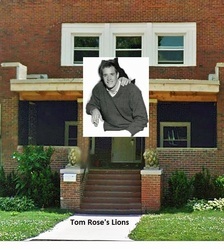 Around 1963 he observed live lions at a zoo, sculpted the lions, cut each of them into three pieces, fired the pieces then reassembled and painted them where they are now. 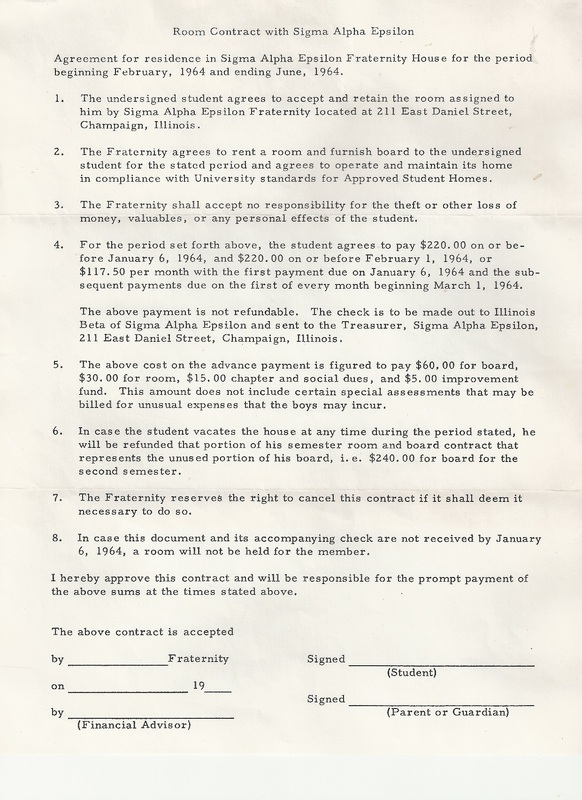 1964 Spring Semester House Bill. 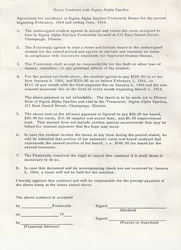 In 2013 Dollars the bill would be Board $438, Room $220, Dues $110 and Improvements $37 or a total of $805.